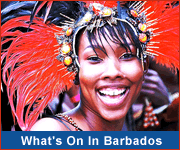 Barbados has a rich and interesting history dating back to the original inhabitants of the island through colonisation by the British and emergence as an independent nation. Visit a local museum to learn more about our history, heritage and culture. Contains many artifacts, collections and furnishings, as well as an interesting collection of rare historical maps. 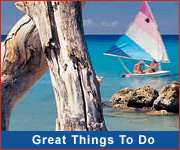 Provides insights into life as it was in the Barbados of 250 years ago. George Washington stayed here in 1751. Barbados was the only country he ever visited outside colonial America! Built in 1658, St.Nicholas Abbey is one of only three genuine Jacobean mansions in the Western Hemisphere. St. Nicholas Abbey Rum is produced at the on-site rum distillery. 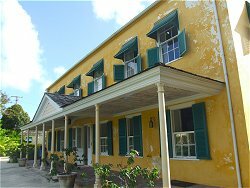 Step back in time to a colonial era with a visit to this traditional Barbados plantation great house. Discover the history of the 3rd oldest Parliament in the Commonwealth and the contributions made to Barbados by our National Heroes. Explore this supersonic aircraft and even fly the Concorde yourself in a simulation. Housed in a restored eighteenth century building, Arlington House is an interactive three-story museum that is both educational and engaging. Tracing the Jewish heritage of Barbados dating back to 1628. Located next to the oldest continually operating synagogue in the Western hemisphere. A small museum highlighting the lifestyles of Barbadians of a bygone era. Comprised of a historic Palladian-style home, and a modern "Heritage Village" with local crafts. Explore the cricket history of Barbados and the West Indies. Discover the trade and monetary history of Barbados, as well as the role of Free Masonry on the island. A record of how sugar was produced in Barbados in the eighteenth and nineteenth centuries. View museums on the interactive map! Discover an amazing cannon collection!